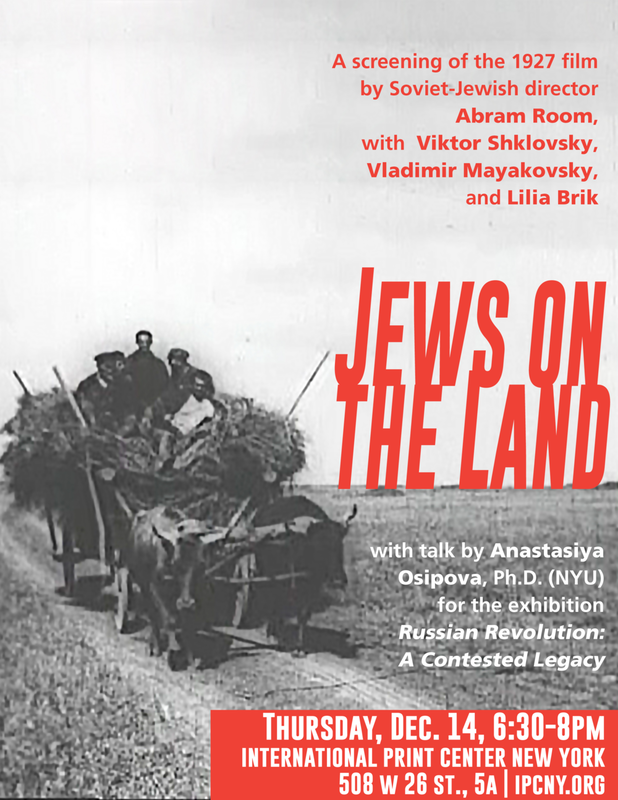 Thursday, Dec. 14 at 6:30PM: Screening & Discussion of Abram Room's "Jews on the Land" (1927) with Anastasiya Osipova, Ph.D.
Thursday, December 14, from 6:30-8pm: in conjunction with Russian Revolution: A Contested Legacy, join curator Masha Chlenova and scholar Anastasiya Osipova for a screening and discussion of Jews on the Land, the 1927 short film (18min) by Abram Room. The film was made with the participation of notable avant-garde figures Viktor Shklovsky, Vladimir Mayakovsky, and Lilia Brik, who were committed to the project of Jewish emancipation. The funding for Jews on Land came from OZET (the Association for the Agricultural Settlement of Jewish Workers), which also commissioned many of the printed posters and ephemera on view in the exhibition. This agitprop film about Jewish agricultural communes in Crimea chronicles the extreme poverty of post-WWI shtetl life, and the idealistic drive to re-settle Soviet Jews into a self-governing, agricultural way of life. 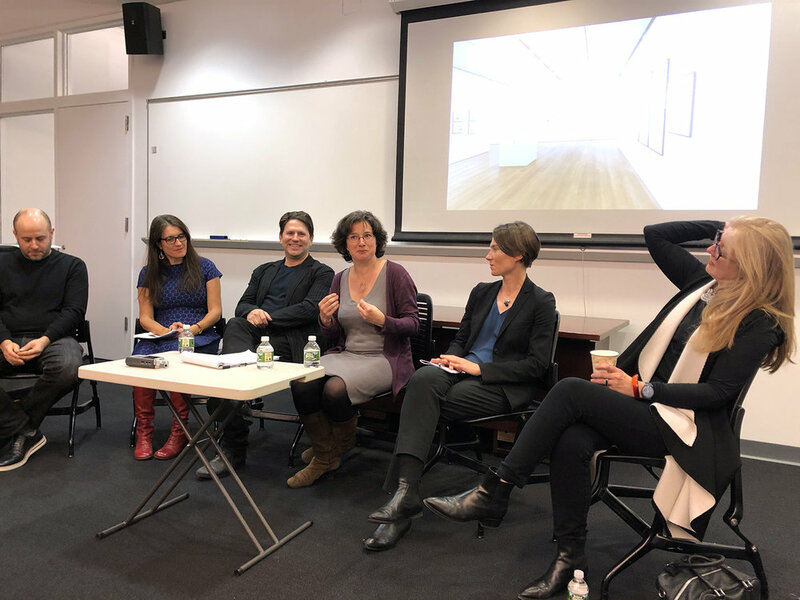 This event will be the final in a series of public programs organized alongside the exhibition, which closes December 16. 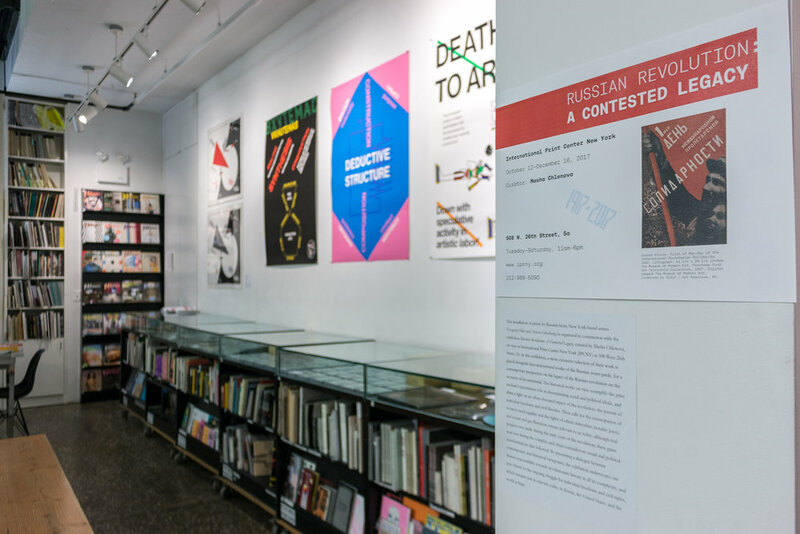 Exhibiting artists Yevgeniy Fiks and Anton Ginzburg will participate in the program, which will feature visiting scholars of Russian modernism and Russian avant-garde art: Kate Baldwin (Northwestern University), Dan Healey (University of Oxford), Samuel Johnson (Syracuse University), Julia Mickenberg (University of Texas at Austin), Kristin Romberg (University of Illinois at Urbana-Champaign), with keynote speakers Maria Gough (Harvard University) and Christina Kiaer (Northwestern University). The conference will address little-discussed issues of individual freedoms and civil liberties brought about by the October Revolution and celebrated by the artists of the Russian avant-garde: the emancipation of women, advocacy of sexual and gay liberation, internationalism, racial equality, and rights of ethnic minorities. These gains in individual freedoms, rolled back in the Soviet Russia by the mid-1930s are on the agenda again today. The issues of women's rights, gay rights, internationalism, and racial equality are central in the modern world, and especially critical in Putin's Russia and Trump's America. 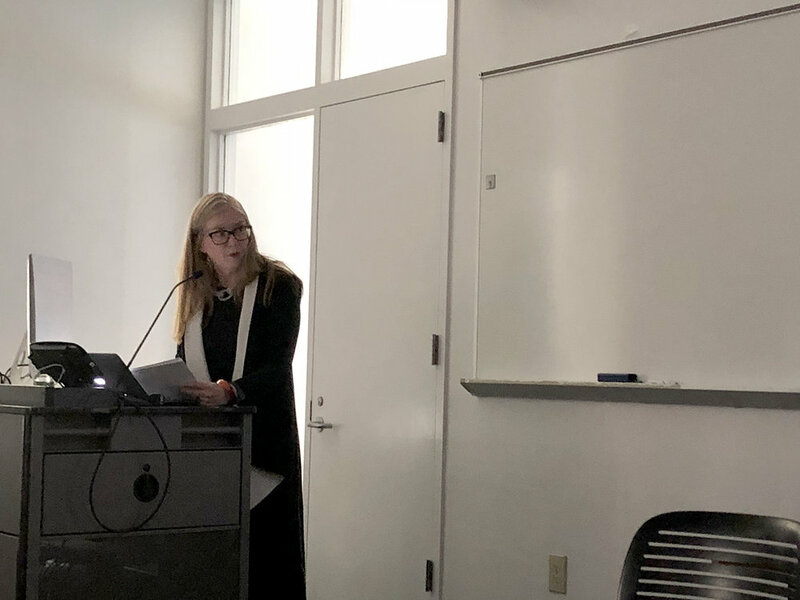 This conference will explore this radically transformative aspect of the Russian Revolution and the way it was reflected in the artistic project of the Russian avant-garde, and discuss how it resonates with the anti-authoritarian tendencies and Civil Rights movements in today's world. Films by artist Anton Ginzburg, on view in Russian Revolution: A Contested Legacy, will be screened at Anthology Film Archive as part of their SHOW & TELL presentations. Two sets of short films will be screened, at 6:45PM and 9:00PM, each followed by a Q&A with Ginzburg.